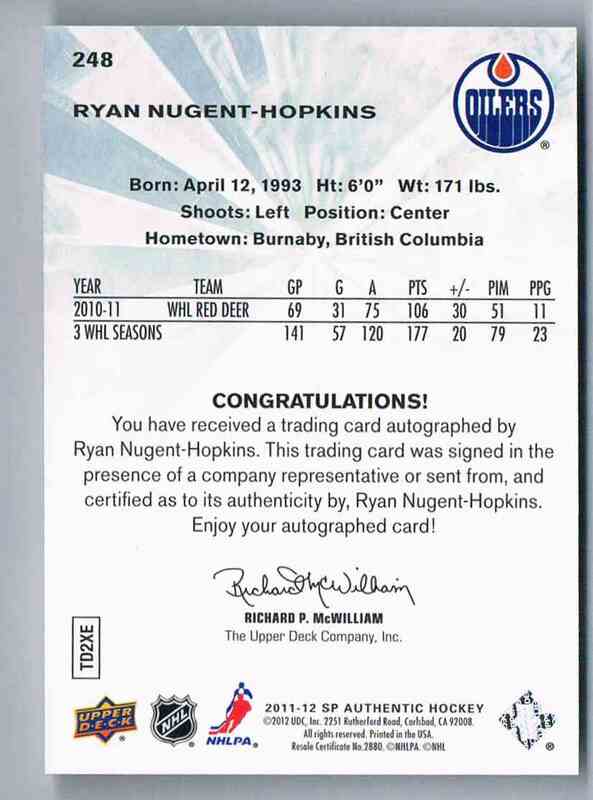 This is a rookie autographed Hockey trading card of Ryan Nugent-Hopkins, Edmonton Oilers. 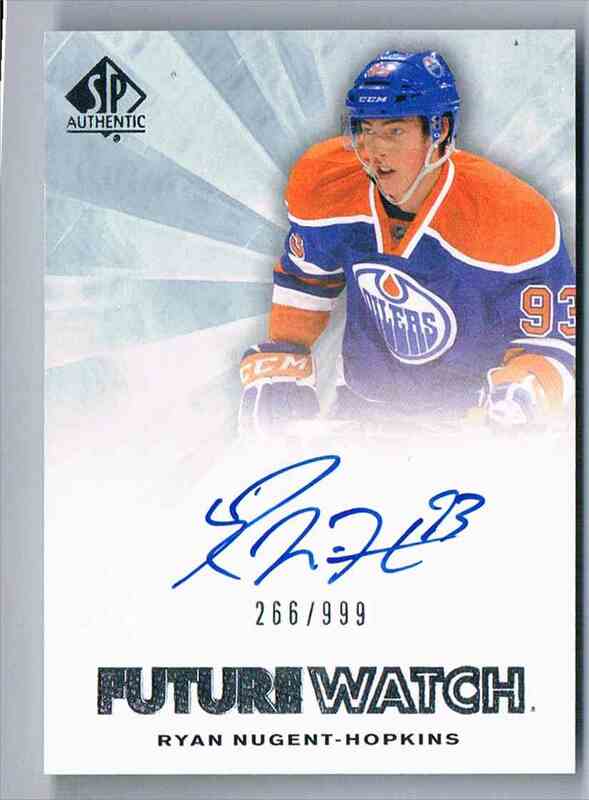 It comes from the 2011-12 SP Authentic Future Watch set, card number 248, serial numbered 266/999. It is for sale at a price of $ 100.00.